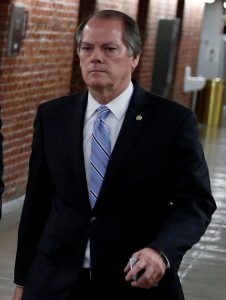 James Wolfe, the former security director for the Senate Intelligence Committee charged with lying to FBI about his contact with reporters, is asking the court to issue a gag order to prevent President Trump and others from commenting on the case. Trump announced that the Justice Department had caught a “very important leaker” the morning after Wolfe’s arrest, but lawyers say that Wolfe had not yet been arraigned on the charges at the time of Trump’s statement. Wolfe’s lawyers argued that Trump’s comments on the case were “highly prejudicial” and they are worried that it will impact his right to a fair trial, according to court filings.